Farrar, Straus and Giroux (BYR), 9780374307387, 32pp. 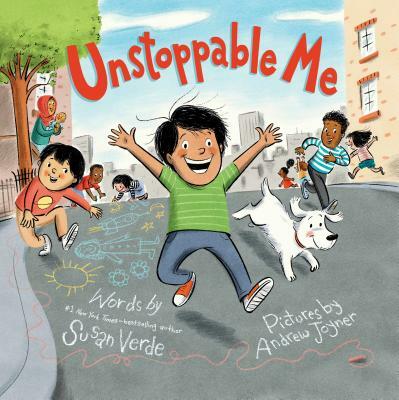 Unstoppable Me is about the sort of energetic child we all know and love — full of fun and play...and a bit exhausting! In this book, we see an unstoppable little boy, run, jump, and soar through his day. He takes a little time to refuel, then he's back at it—zooming and zipping around. This poetic, joyful book—filled with illustrations as bright and energetic as the boy himself— is a celebration of the active child.